Thank you Robin Opperman! Big thanks to Kempster Ford Edwin Swales & Fabricon for making this happen! Our community is ever so grateful! Robin, creative director at Umcebo Design will be making a 3m humpback whale that will be partially clad with recycled plastic bottle caps for the Welcoming of the Whales Festival for Sodurba, in partnership with Eden College. We are collecting plastic bottle caps in: dark blue; black; white; grey and purple. For anyone who would like to donate plastic bottle caps please contact us on 0314670404. Last year we had the privilege of showcasing this beautiful creation at the first Welcoming of the Whales Festival. Sodurba is proud to be part of the #INDABA2018 – keep up to date with our recent visit to the exhibition via our Facebook page. It’s Official – Sodurba CTO are in partnership with the WCA! Sodurba is proud to announce that we are officially members of the WCA. The World Cetacean Alliance (WCA) is a Partnership of over 90 non-profit organisations, whale and dolphin watching tour operators and individuals in 40 countries worldwide working collaboratively to protect cetaceans and their habitats. This is our new staircase at Finnemore Place!! Pleased to announce 1 of our look out points which forms part of our KZN Whale Route. Big thank you to JP Prinsloo for making this happen. We’re at the #DurbanHasMore Discover Durban Campaign Launch at The Beverly Hills Hotel today! There is a new route Durban travellers can look forward to visiting. 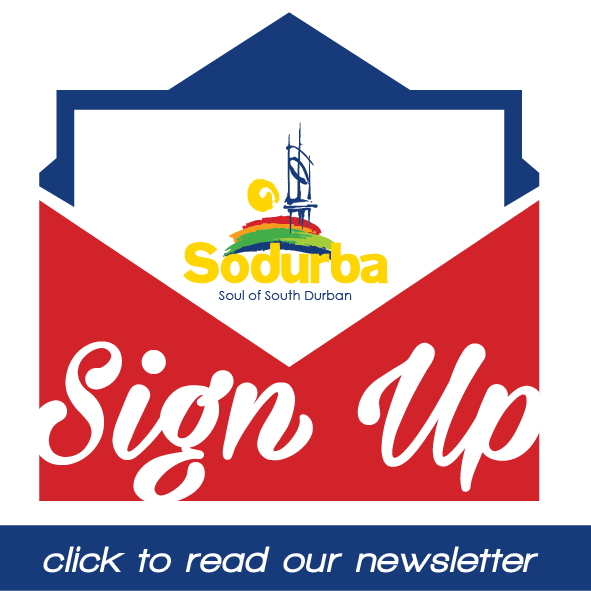 Sodurba, consisting of three different routes in areas like the Bluff, Yellowwood Park, Clairwood and Wilson Wharf areas, showcases the south of Durban perfectly. The first route explores the KZN Whale Coast. The route starts at The Whale History Museum at the Maritime Museum. Visitors can take a scroll through the museum to explore the boats and the history of the whales. That is followed by a boat cruise at Wilson’s Wharf, to WESSA Treasure Beach and Brighton Beach. The next one is the Conservation Legacy Route that also goes to Wessa Treasure Beach, Bluff Nature Reserve, Bluff Eco Park, Wilderness Leadership School and Stainbank Nature Reserve Castle and Art Gallery. The last route is Multicultural. It explores the different cultural institutions in these areas, including Clairwood Shree Siva Soobramoniar Temple, Isipingo Gowshala and Mandir Temple, Isipingo Shree Siva Soobramoniar Temple and the Shri Sivan Soobramoniar Alayam. 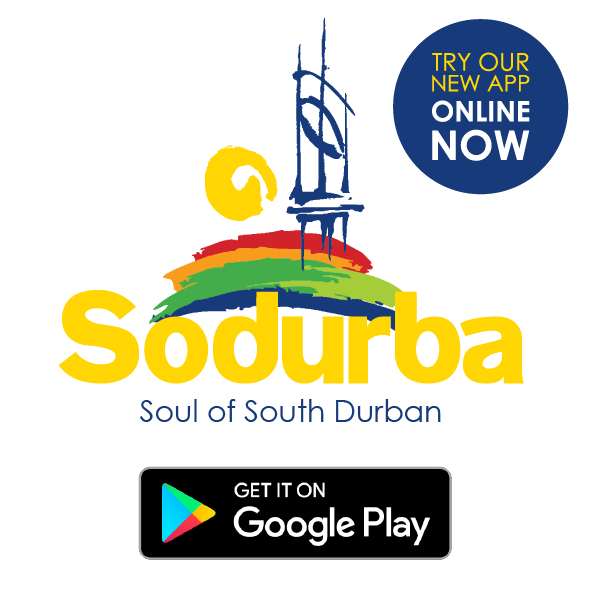 Sodurba is a refreshing new tourist route away from the usual tourist spots in Durban like Moses Mabhida Stadium and the Durban beachfront. The educational element is also important. Tourists are educated on numerous aspects of Durban life, it’s people and their culture. We got treated to a mix of the activities on the route. There are plans to launch more activities and routes as time progresses. Chairman of South Durban Tourism, Helga Du Preez, said additional tourist routes is perfect to boost tourism, create jobs and in turn have a positive economic growth in our city. During the tour, environmental educator Andre Steenkamp boasted about the accessible accommodation offered in the Durban South area. This was especially so for Marine Drive on the Bluff that is home to many b&bs and guest houses. For further information, contact Sodurba Tourism on 031 467 0404. It’s no fluke the whales are here! Durban – Humpback whales are back in KwaZulu-Natal waters, with whale song reverberating under the waves and massive tail flukes heralding the fourth World Whale Conference and Durban’s first Welcoming of the Whales Festival, set to take place in Durban later this month. Riette Bennett, the owner of Advantage Tours, which holds the permit for whale watching in Durban and St Lucia, confirmed whales have been spotted this week as the annual migration takes place from the southern oceans. “The first lone whale was spotted on May 18, followed by a lull for two weeks, and then the others started arriving. File picture: Supplied “We have such beautiful humpback whales coming up our coastline. They come from the Antarctic up to the warm Mozambique waters to mate and breed. Those that are pregnant will go back to the Antarctic for the 12-month gestation period and come back next year to give birth. “Those giving birth will travel back slowly, waiting for the calf to put on blubber. A calf will drink up to 400 litres a day and they need to build up their blubber to survive in the icy waters of the Antarctic,” said Bennett. She added that the southern right whale is only occasionally seen in KZN waters, with a 60 ton mother and calf spotted last year. While whales across the southern ocean move north to warmer waters at this time of year – whether to Africa, Australia or America – for breeding purposes, the annual sardine run also brings a huge pod of whales travelling behind them. Bennett said they were very excited about the World Whale Conference to be held in the city, and particularly about sharing information with other whale watching operations from around the world. “We can share what species we see, their migratory habits, the extraordinary markings and perhaps create a platform to share pictures and information,” she said, citing an example of a whale tail they photographed, which appeared to have a bite out of the tail. “Two years later, the exact same whale appeared in front of our vessel. We were over the moon,” she said. Dr Ken Findlay, the Research Chair in Oceans Economy at the Cape Peninsula University of Technology, and one of the guest speakers invited to the conference, said whale populations on the southern hemisphere were faring well, having recovered from “severe whaling pressure”. The World Whale Conference (June 24-29) is being hosted by the World Cetacean Alliance (WCA) and the theme is “Towards Responsible Tourism for Cetaceans” which will focus on sharing evidence and discussing strategies to ensure the protection of cetaceans. Cetaceans are aquatic mammals such as whales, dolphins and porpoises. Part of the conference will also include a Whale Heritage Sites Summit, which will discuss and explore opportunities for the development of new sites in Africa and worldwide. The Welcoming of the Whales Festival will be held on June 24 and 25, with WCA supporting Sodurba Community Tourism Organisation (Durban South Tourism) hosting the first whale celebration event at Anstey’s Beach on the Bluff. Activities will include educational, art and cultural events to celebrate the arrival of the whales. Building a whale from ocean waste is truly inspirational! “We decorated a beautiful wire whale with bottle tops to hang up at the Conference. This will hopefully change stubborn minds about throwing bottle caps away into the deep blue sea”. This inspirational quote from primary school student, Sam Walker shows his enthusiasm for the unique community project about whales in Durban. With the other pupils of Manor Gardens Primary School, Sam is building a whale from waste materials like those polluting the ocean. Conference from the 24th of June. Woolworths – Have sponsored one of the whale sculptures Building these whales is all about helping education and creating more awareness of the need to protect whales. Not only that, is a fun activity to do! of South Africa. You could say that here in Durban the young are educating the old”. Woolworths has already sponsored one whale, could you do the same?